Mandriva 2009 will be delivered, as usual, on 100% FREE edition CDs and DVDs for 32bit and 64bit platforms and the One edition with KDE and GNOME Live CDs. We will have more details about Mandriva 2009 next week, when the first alpha release will be available. 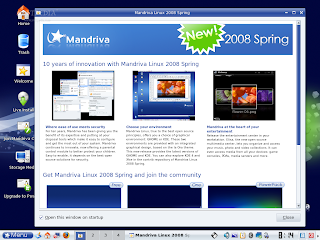 Until then, you can download Mandriva 2008.1 right now from Softpedia.